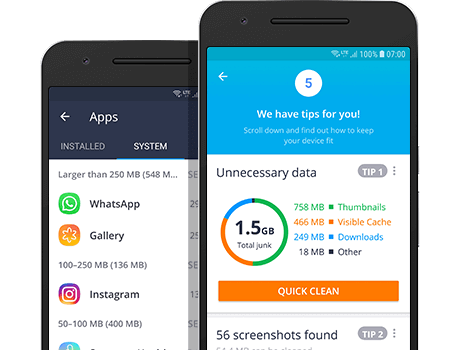 Just click the “Analyze” button for a simple, one-page summary of hidden junk, bad photos, battery-sapping apps, and more. From there, cleaning things up is a snap! Quickly see which of your photos are bad, blurry, poorly lit, or nearly identical. Then delete as many as you'd like to tidy up your gallery and save space. If AVG Cleaner isn’t sure about some photos, it will ask you to review them. And the best part? The more you use it, the more it learns, and the better future scans will be. 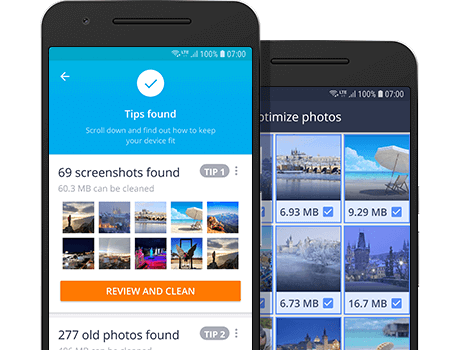 Quickly remove hidden clutter, unused apps, calling history, your largest files, and more to free up space for even more of the apps, photos, and music you love most. 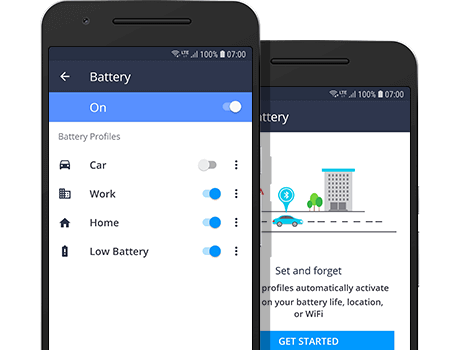 Turn off your phone's more battery-hungry features with a single tap, or go PRO to have your phone automatically switch on or off settings as needed. Easily see which apps are draining your battery, storage, and mobile data the most. Then decide which are worth keeping, and tap to remove the rest. 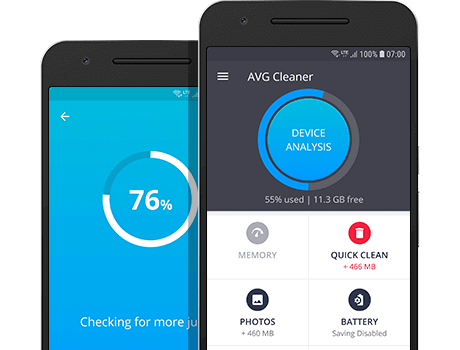 Just turn on Auto Clean Reminders, and AVG Cleaner will automatically find the clutter for you and let you clean it from a simple reminder in the notification panel of your phone or tablet. It's that easy. PRO features are included free for 30 days, and can be bought anytime with an in‑app purchase.